Some substances have particularly marked the history of science and technology and have left an indelible mark. 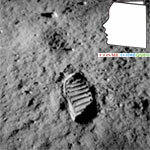 This is the case, for example, of the materials making up the sole of Niel Armstrong's boot, which set foot on the moon in July 1969 and pronounced the famous phrase:"This is one small step for a man, one giant leap for mankind". This material was silicone based. These particular polymers stemming from silicon chemistry, a very old chemistry but entirely revisited in the 19th and 20th centuries to give major innovations, then gradually invaded a very large number of fields of application, and cosmetics did not escape the rule. Initially used for more industrial applications as release agents or antifoam products, the various specialities have gradually become essential in the world of formulation. These substances have ubiquitous properties that make it possible to envisage a great many applications, whether in the field of functional formulation, stability and vectorization of active principles, or at the basis of highly significant process developments such as moulding techniques allowing things that were previously impossible. For example, sun products have become water-resistant in very pleasant formulas with improved functionality, certain make-up products can boast specific and special optical properties, lipsticks have unexpected shapes, personal hygiene products are easy and pleasant to use, and powders can reach exceptionally soft touches. Also the basis of many techniques of coating pigment and powder fillers to improve the touch, they have allowed significant improvements . This would allow us to continue to refer to virtually all families of cosmetic products. Silicones are easily identifiable in ingredient lists with their commonly known names containing dimethicone, cyclomethicone, etc. and all synonyms containing methicone or siloxane suffixes. Sometimes controversial, probably partly because of their success and legitimately discussed in the environmental context of green chemistry, these substances constitute formulation bases in some cases unavoidable in the world of cosmetology. A few examples of formulas taken from representative families convince us of this (Source : cosmeticwatch ). Lipstick HYDROGENATED POLYISOBUTENE, DIMETHICONE DIISOSTEARYL MALATE, POLYETHYLENE, ETHYLENE/PROPYLENE COPOLYMER, SYNTHETIC FLUORPHLOGOPITE, HYDROGENATED POLYDECENE, SIMMONDSIA CHINENSIS (JOJOBA) SEED OIL, DIMETHICONE CROSSPOLYMER ISOHEXADECANE, JOJOBA ESTERS, DISTEARDIMONIUM HECTORITE, TOCOPHERYL ACETATE, PHENOXYETHANOL, PROPYLENE CARBONATE, PEG-8, ALUMINA, PRUNUS AMYGDALUS DULCIS (SWEET ALMOND) OIL, HYDROGENATED VEGETABLE OIL, SILICA, TALC, TOCOPHEROL, POTASSIUM ALUM, PERFUME (FRAGRANCE), CAMELLIA SINENSIS LEAF POWDER, ASCORBYL PALMITATE, KAOLIN, CAESALPINIA SAPPAN BARK EXTRACT, ASCORBIC ACID, CITRIC ACID. (MAY CONTAIN) CI 12085 (RED 36), CI 15850 (RED 6), CI 15850 (RED 7 LAKE), CI 15985 (YELLOW 6 LAKE), CI 17200 (RED 33 LAKE), CI 19140 (YELLOW 5 LAKE), CI 42090 (BLUE 1 LAKE), CI 45380 (RED 22 LAKE), CI 45410 (RED 28 LAKE), CI 73360 (RED 30 LAKE), CI 75470 (CARMINE), CI 77163 (BISMUTH OXYCHLORIDE), CI 77491, CI 77492, CI 77499 (IRON OXIDES), CI 77742 (MANGANESE VIOLET), CI 77891 (TITANIUM DIOXIDE), MICA. WATER\AQUA\EAU, CYCLOPENTASILOXANE, PHENYL TRIMETHICONE BUTYLENE GLYCOL, DIMETHICONE, CETYL DIMETHICONE OCTYLDODECYL STEAROYL STEARATE, PEG/PPG-18/18 DIMETHICONE, CETYL PEG/PPG-10/1 DIMETHICONE, PEG-10 DIMETHICONE MAGNESIUM SULPHATE, TRIMETHYLSILOXYSILICATE PYRUS MALUS (APPLE) FRUIT EXTRACT, GENTIANA LUTEA (GENTIAN) ROOT EXTRACT, SILYBUM MARIANUM (LADY'S THISTLE) EXTRACT, RUBY POWDER, NEPHRITE POWDER, SAPPHIRE POWDER, PEARL POWDER, PISUM SATIVUM (PEA) EXTRACT, CAFFEINE, ASTROCARYUM MURUMURU SEED BUTTER, ETHYLHEXYL PALMITATE, TRIBEHENIN, METHYLDIHYDROJASMONATE, DISODIUM NADH, CAPRYLYL GLYCOL, CHOLESTEROL, LINOLEIC ACID, PHYTOSTERYL/OCTYLDODECYL LAUROYL GLUTAMATE, GLYCERIN, PALMITOYL HEXAPEPTIDE-12, ALGAE EXTRACT, SUCROSE, PALMITOYL TRIPEPTIDE-1, ETHYL 2,2-DIMETHYLHYDROCINNAMAL, 7-DEHYDROCHOLESTEROL, LAMINARIA DIGITATA EXTRACT, METHICONE GOLD, HYDROLYZED WHEAT PROTEIN, ERGOTHIONEINE, ACETYL CARNITINE HCL, HYDROLYZED FISH (PISCES) COLLAGEN, DISTEARDIMONIUM HECTORITE, ORYZA SATIVA (RICE) BRAN EXTRACT, SODIUM HYALURONATE, AMINOPROPYL ASCORBYL PHOSPHATE, GLYCERYL POLYMETHACRYLATE, TOCOPHERYL ACETATE, ZINC STEARATE, LAURETH-7, PEG-8, HYDROGENATED LECITHIN, SORBITAN ISOSTEARATE, XANTHAN GUM, SODIUM CHLORIDE, ASCORBYL PALMITATE, CITRIC ACID, PHENETHYL ALCOHOL, MAGNESIUM ASCORBYL PHOSPHATE, POLYMETHYLSILSESQUIOXANE, TRIETHOXYCAPRYLYLSILANE BHT, LINALYL ACETATE, CHLOROXYLENOL, PHENOXYETHANOL. (MAY CONTAIN) - MICA, TITANIUM DIOXIDE (CI 77891), IRON OXIDES (CI 77492), IRON OXIDES (CI 77491), IRON OXIDES (CI 77499), FERRIC FERROCYANIDE (CI 77510), BISMUTH OXYCHLORIDE (CI 77163), CARMINE (CI 75470), ULTRAMARINES (CI 77007), CHROMIUM OXIDE GREENS (CI 77288), YELLOW 5 LAKE (CI 19140), FERRIC AMMONIUM FERROCYANIDE (CI 77510), BLUE 1 LAKE (CI 42090), CHROMIUM HYDROXIDE GREEN (CI 77289). Hygiene product: Deodorant ISOBUTANE, AQUA/WATER, DIMETHICONE ALUMINUM CHLOROHYDRATE, PERFUME/FRAGRANCE, PHENOXYETHANOL, LAURYL PEG-9 POLYDIMETHYLSILOXYETHYL DIMETHICONE TETRASODIUM GLUTAMATE DIACETATE, DIMETHICONOL LIMONENE, ALPHA-ISOMETHYL IONONE, COUMARIN, CITRONELLOL, LINALOOL, BENZYL BENZOATE, EUGENOL. Silicone: male or female? Opinions differ, but it seems that the feminine is the right way to spell it. We must return to the discovery of silicon by Berzelius who thought he had to do with a ketone of silicon and therefore named it silicon-ketone, which later became silicone, or ketone which means ketone and which is a female name, which would explain that the silicone name is female. In a first article on silicones, which will be followed by others, I hope because this family is exceptionally rich, Jean Luc Garaud of Dow Corning, one of the world leaders in this product family, reviews this particular, original and innovative chemistry, and the substances that result from it - soon online .